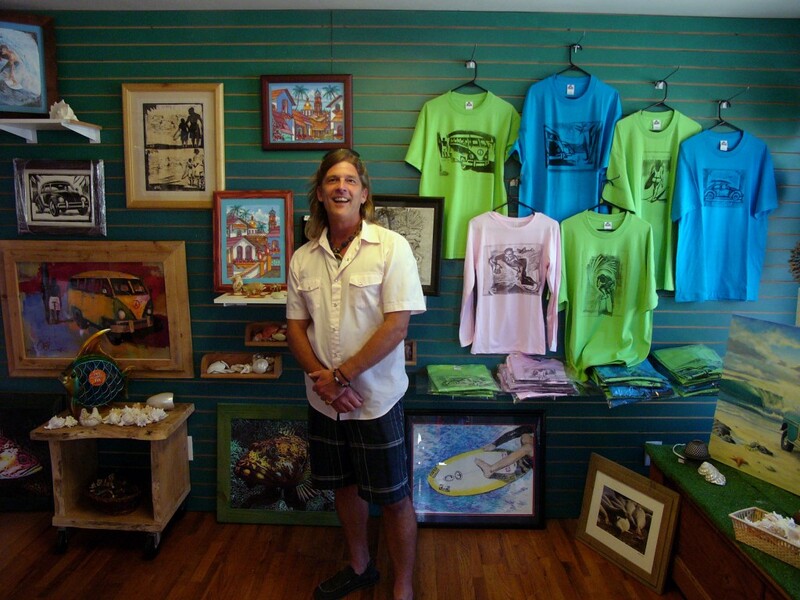 Kevin Kreowski in his new Shell Beach "Cove" gallery. Â And this guy retired from Border Patrol?! 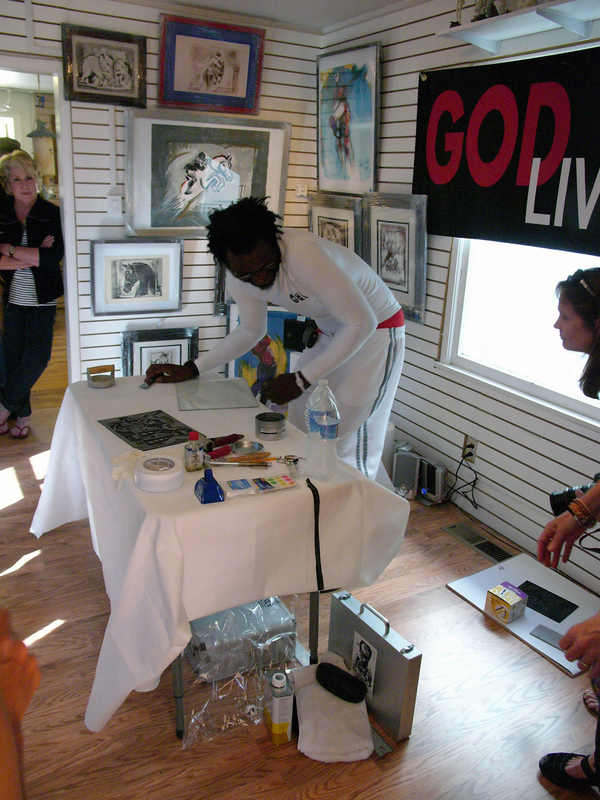 West African artist Obi was on hand to give demonstrations of his cloth printing techniques. Cynthia Yancey, who’s doing the exterior wall jungle mural seen from Shell Beach Road, was also there. Grill-meister Johnny pitched in with his personally-designed and constructed grill (oak logs?) 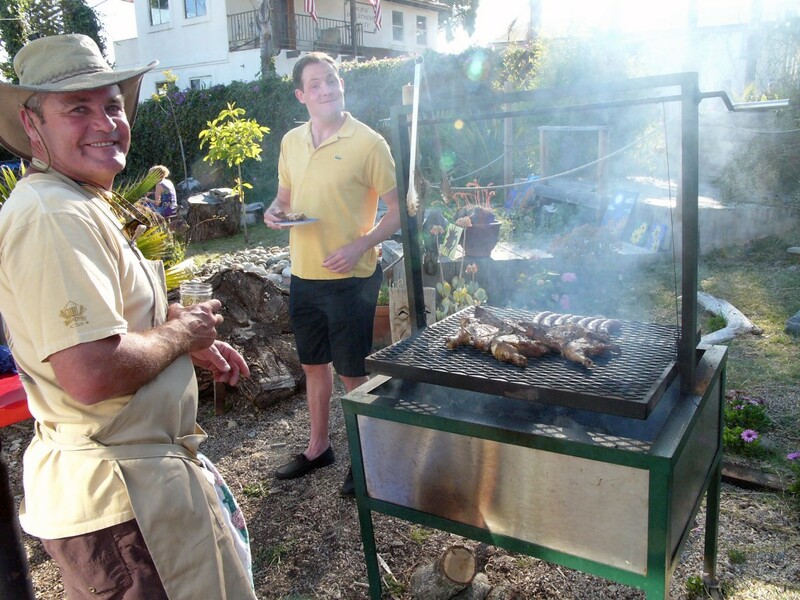 with clouds of aromatic smoke producing Â juicy sausages and tender, marinated chicken that wowed us all. 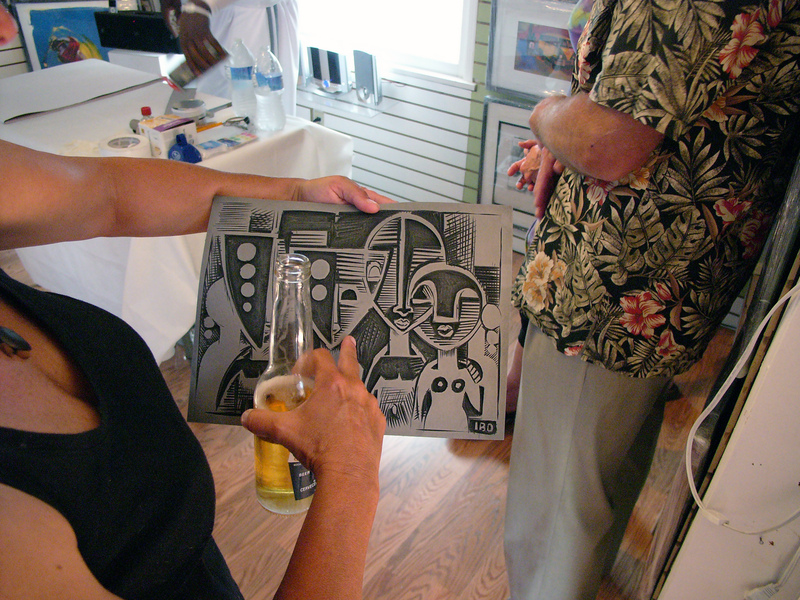 Some Shell Beachers taking a close look at one of Obi's print blocks - This one has a "We are the World" kind of vibe. Her-r-r-re's Johnny at his grill. (on left with hat and big smile) You cannot imagine how delicious that chicken tastes. The man has got a worthy secret. 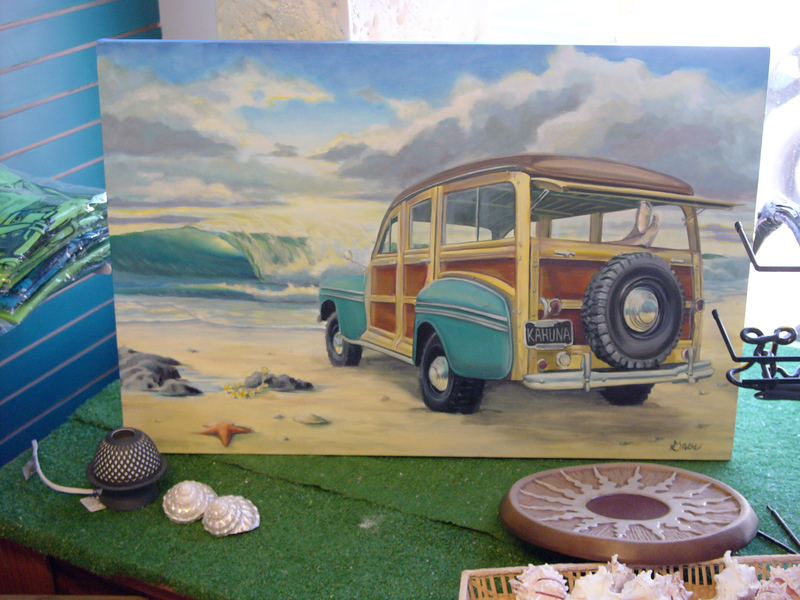 I love this painting by Colleen Gnos. I call it the "Kahuna-wagon." She'll have to let me know what her title is. My husband liked these. Wonder why? Cozy Corner at Kevin's 'Kreo's Cove' in Shell Beach. Doesn't 'Kreo' sound so mystically Greek?"